Kebabs, curries, biryanis and more coming to Nagpur soon! It's time to rejoice Nagpurians! 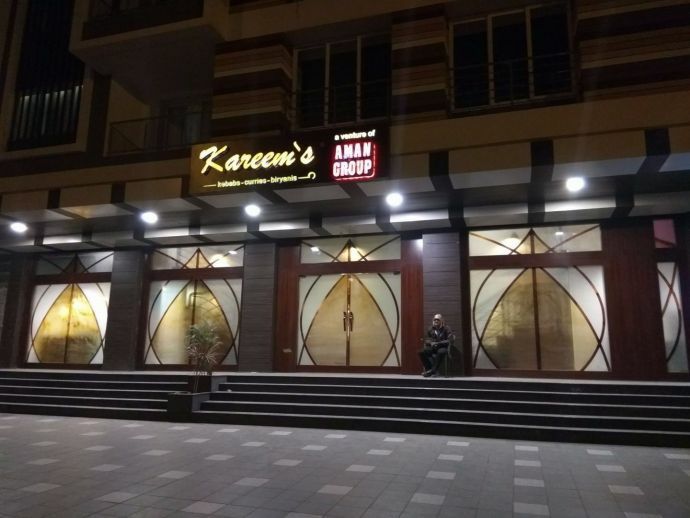 After Mainland China, another famous restaurant chain from Mumbai - Kareem's, specializing in Indian original meals, will now be opening shortly in Nagpur at Rajnagar. Kareem's was founded by Chef Kareem Dhanani in Mumbai in 1995. It is known for highly artistic Indian cooking and provides authentic Indian food cooked aromatic spices. It has several branches in Mumbai and Pune and has recently opened Hyderabad, Kolkata, Lucknow, Solapur and Jabalpur. Last year, Kareem's also opened it's first international outlet at Ramada Hotel Abu Dhabi Corniche – the first branch of the group in the UAE. The delicious food is usually accompanied by ambience that gives authentic Indian feel. Kareem's mainly caters Lucknowi and Mughlai cuisine and is popular between the non-vegetarian food enthusiasts. Like our Facebook page to stay updated on this news.